Luxury Capital Partners (LCP), the boutique international investment and development consultancy, which operates in more than 30 countries on four continents, starts the New Year with a new Executive Team and says goodbye to Rasheed Goldring, former Executive Vice President in charge of the US market. From the start of 2018, the Executive Board will include Mrs Phyllis Koessler-Collins, Mrs Nina Ghafoor, Mr Dean Harley, Mr Kashan Rafique and Mr Yannick Lee Jacquier. Mr Rasheed Goldring will pursue higher university studies as part of a new chapter in his life. Rasheed Goldring participated in the creation of Luxury Capital Partners and was part of the Executive Team since its early days. A Washingtonian resident, his duties included the development of the US market. Late 2017, Mr Goldring was given the possibility to further increase his knowledge in international business & trade, and attend a Master level university course starting this year. His decision to focus on his studies and further development was praised by the rest of the Executive Team, and strongly supported. 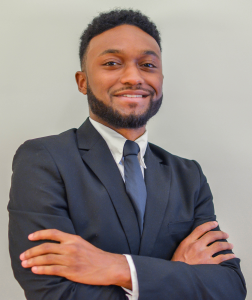 Phyllis Koessler-Collins, LCP Senior Partner and Chief Operating Officer, commented “Rasheed is a young and ambitious man who has a great opportunity to gain additional skills through this educational degree. LCP is a strong advocate of continued education for all partners and associates. It would have been against our principals to withstand his decision to focus on his academics and we are grateful for his work at LCP. Even though he will be missed, we know he will thoroughly enjoy writing this new chapter in his life and we wish him all the best in his future endeavours. At LCP, his departure coincides with our intention to completely review our approach of the Americas, and not only the US sector. We will take advantage of the upcoming quarter which will see quite interesting news especially in relation with our UHNW clients, and we look forward to share this next development phase with our existing & upcoming partners”. From 1 January 2018, clients who have been attended by Mr Goldring during his time at Luxury Capital Partners, will be assisted by Mrs Koessler-Collins directly. LCP is a boutique international investment and development consultancy that specializes in real estate, precious metals, and fine art. LCP provides a wide spectrum of diversity in cultures among its partners and associates, with many different professional backgrounds. We are global and yet distinct with a human scale service guaranteeing our international clients’ the utmost confidentiality. It is this unique feature that makes us exceptional in our relationships with the most distinguished corporate entities and UHNW individuals across the world. U.S. stock index futures were muted on Thursday, as weak manufacturing data out of Europe underscored concerns of a global slowdown, while investors stayed on the sidelines ahead of the release of a long-awaited Mueller report. Oil prices rose slightly on Thursday, boosted by a decline in U.S. inventories, ongoing supply cuts from OPEC and its allies, and U.S. sanctions on Venezuela and Iran.